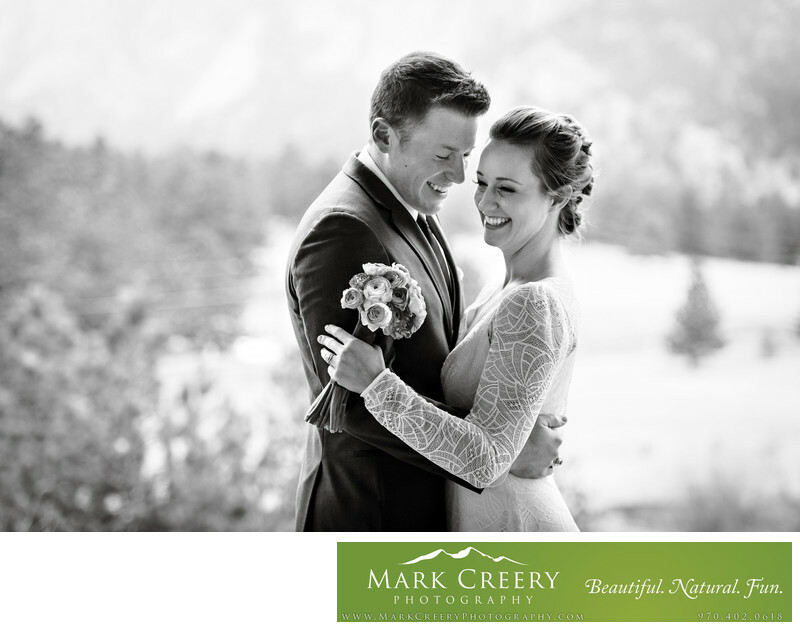 Black Canyon Inn wedding photographer Mark Creery Photography captures the Estes Park scenery this venue is known for while still making the photos about showing the couple's personalities. Mark has lots of experience photographing at Black Canyon Inn and can give you a fun, laid-back experience that couples are raving about. This photo was taken from the ceremony site location after the couple got married. You can see the pure joy and relief of finally arriving at this point. I love how the black and white finish highlights the emotions that they show. You wouldn't believe this photo was taken in January, as there wasn't any snow on the ground, but the next day the snow did move in. Location: Black Canyon Inn, Estes Park, Colorado.